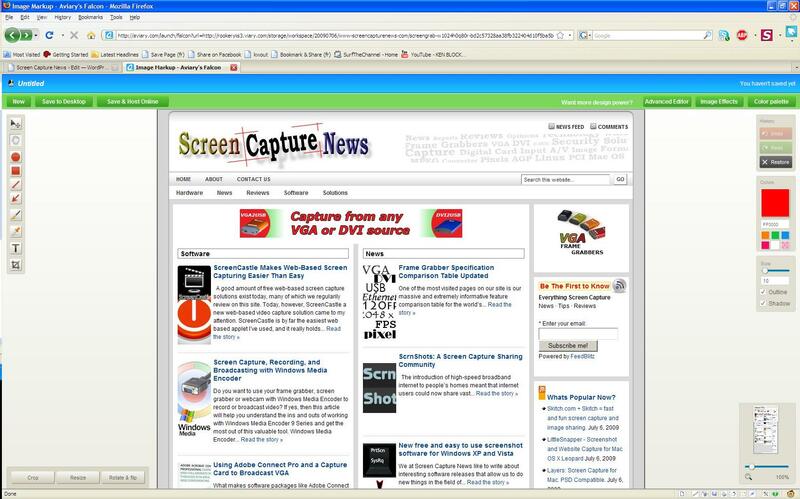 Here at ScreenCaptureNews, when it comes to software, we like everything that’s free, useful, and simple. A good example of an application that abides by those three rules would be Aviary. 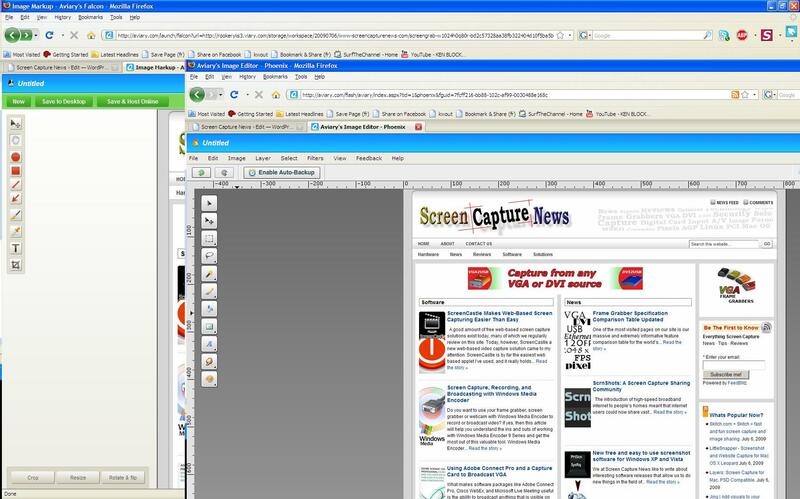 Think of Aviary as a tool for capturing screenshots of webpages, similar to FireShot, which we earlier reviewed. The way it works is quite simple, just place www.aviary.com/ before the URL of the webpage that you would like to capture. Once that is done, you will be taken to a loading page, it means that your capture was successful and the Aviary image editor is starting. You will then be taken to a full-blown image editor, as pictured below. The features are pretty self explanatory. 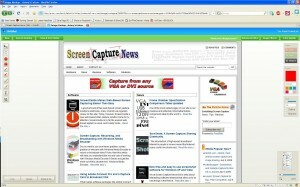 Once you are done editing, you may click on “save to desktop” or “save & host online,” depending on what you would like to do with your saved capture. The most amazing feature of Aviary is, by far, the advanced editor, pictured below. It can be accessed by clicking on “Advanced Editor” in the top right of the window. Those that work with Photoshop will have an easy time adapting to the advanced image editor, which tries to replicate the Photoshop interface and functions with some features like layers, history, magic wand, smudge tool, liquify tool, freeform selection tool, and more. All these features definitely make this web based applet more advanced than most free screenshot editors which need to be installed. What’s more, Aviary works with all operating systems including Windows, Mac OS and Linux, and allows for direct uploading of an image to the Aviary web servers, where you can share it with others. If you don’t have a webpage screenshot editing tool that you’re used to, or if you’re looking to try something new, I would definitely recommend Aviary. It’s easy to use, it’s free, and it’s packed with features that you won’t find anywhere else!